The old saying by American educator Thomas H. Palmer is so apt – “If at first you don't succeed, try, try, and try again”. The 21-year-young Chinese badminton sensation Chen Yufei is one superb example of the above proverb. 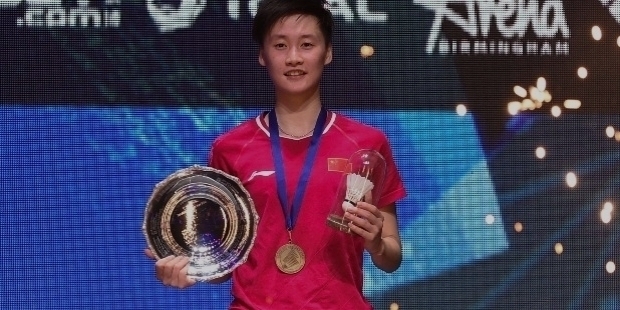 At the All England Championships in Birmingham, UK, Chen Yufei conquered women’s World No. 1 Tai Tzu-ying in straight games with a score of 21-17, 21-17. Yufei had lost previous 11 meetings to Tai Tzu-ying. Chen Yufei believed in her potential to triumph over women’s World No. 1. She kept pushing her limits to finally defeat Tai Tzu-ying in their 12th encounter. 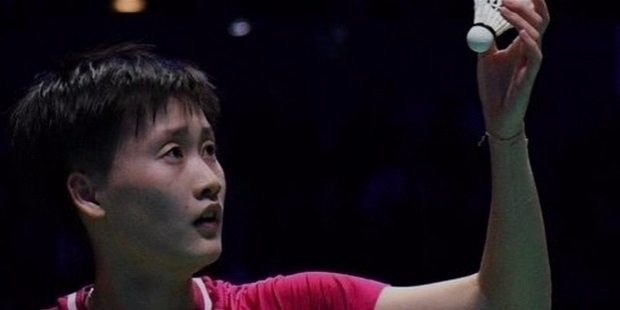 After five long years, a Chinese has won the All England Championships’ title. Tai Tzu-ying has been ruling the women’s badminton circuit since 1st of December 2016. The Taiwanese badminton champion has been described as a perfect flawless player in the world. However, Chen Yufei’s persistence penetrated Tai Tzu-ying’s stronghold with superb performance at the All England Championships. Tai Tzu-ying’s stature as women’s World No. 1 precedes her performance even before a tournament begins. The world always sides with the winner. Her opponents have to not only face Tai Tzu-ying’s superlative performance, but also have to overcome the crowd and the commentators. 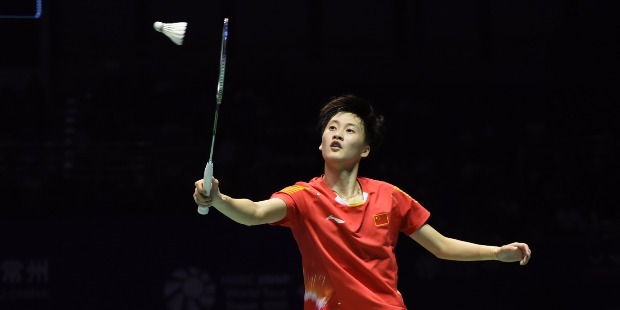 Chen Yufei was well aware of all the factors, when both of them reached the finals conquering their respective opponents at the All England Championships. It was interesting and stunning to watch the two players countering each other’s move at the final. In the first game Chen Yufei took the lead over Tai Tzu-ying by 16-9. Tai fought back to narrow the score by 17-19. Chen conquered her demons to score the next two points to win the first game 21-17 with some superb display of finesse. She surprised the World No. 1. The crowd was flabbergasted and simultaneously happy for Yufei. In the second game, they both matched each other’s game. Chen led Tai by 16-12. Tai bounced back by lifting her game to level the score 17-17. The game could have gone either way. Chen Yufei was not going to give Tai Tzu-ying any further leeway. She forced Tai to make mistakes and went onto lift her first All England Championships’ title of her career. Chen went onto score her winning points to end Tai Tzu-ying’s dreams to complete her hat-trick with a 21-17, 21-17 win. Tai Tzu-ying had previously won the 2017 and 2018 editions of All England Championships. Chen Yufei became the first player from team China to win the women's singles final, since Wang Shixian won the trophy in 2014. Yufei’s victory became the second win for team China this year. 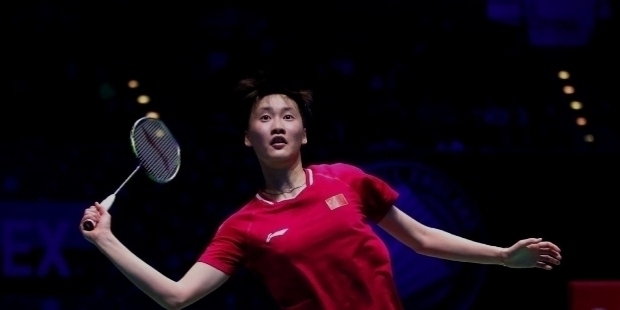 Chen Qingchen and Jia Yifan won the women's doubles final at the All England Championships. China regained the women’s singles’ title after 2014. China has seen resurgence among women players since July 2018. 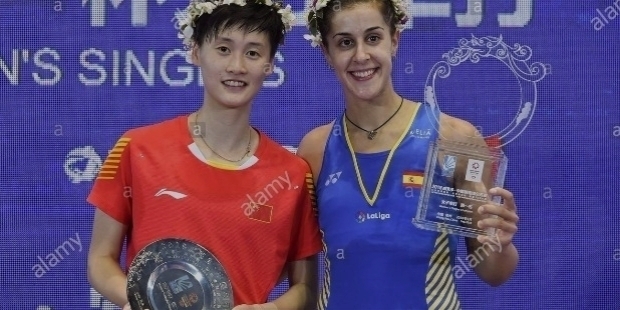 Four Chinese players have triumphed over Tai Tzu-ying since July 2018. On the 3rd of August 2018, He Bingjiao surprised Tai Tzu-ying at the BWF World Championships 21-18, 7-21, 21-13. It was a thrilling contest. On 13th of September, Chen Xiaoxin conquered Tai Tzu-ying 21-18, 21-14 at Japan Open. Seven days later, Gao Fangjie created an upset defeating Tai Tzu-ying at China Open 21-17, 21-16. Chen Yufei is the fourth Chinese to triumph over Tai Tzu-ying. Chen Yufei had learned a great deal from the previous three Chinese winners against Tai Tzu-ying. One must confess that she did her homework well to study her opponent’s game. Chen Yufei climbed to the No. 2 World ranking after her win at the All England Championships. Chen Yufei was born in Hangzhou, Zhejiang, China on the 1st of March 1998. A gifted player, Chen showed immense talent during her growing up years. She made her presence felt in her nation’s badminton circuit as a teenager. At a tender age of 9, Chen became professional in the year 2007 on the National Circuit. She made her international debut on the International Circuit in Vietnam Open in 2013. At the tender age of 15, she represented her country at the 2013 Asian Junior Championships in Nanjing, China. In mixed doubles, she partnered with Shi Yuqi. The duo won the Bronze medal. In the year 2014, she won the Silver medal in girls’ singles at the Asian Junior Championships in Taipei. She lost to Japanese Akane Yamaguchi 10-21, 15-21 in the final. At the 2015 Indonesian Masters, Chen Yufei reached the finals. 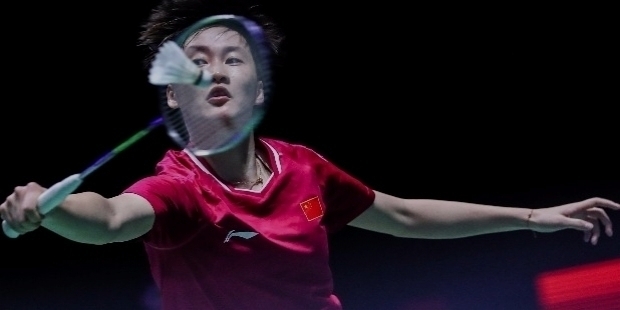 However, she lost to her compatriot He Bingjiao 18-21, 9-21 at the BWF Grand Prix tournament. Chen also lost in the final against Japanese Nozomi Okuhara 19-21, 16-21 at the BWF International Challenge / Series 2015 China International. 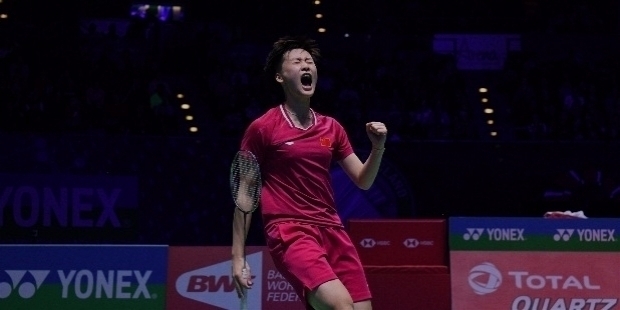 Chen Yufei tasted her first BWF Grand Prix win in the year 2016. She defeated her compatriot Chen Xiaoxin 21-13, 21-18 at the 2016 Macau Open. With her win, she also announced her arrival at the international stage. She also won the girls’ singles title at the 2016 Asian Junior Championships in Bangkok. Chen Yufei conquered the Indonesian challenger Grigoria Mariska 25-23, 21-14 to win the Gold medal. She repeated her winning performance at the 2016 BWF World Junior Championships at Bilbao, Spain. She triumphed over Thailand’s Pornpawee Chochuwong 21-14, 21-17 to win the Gold medal. The year 2017 was a bit heartening after the success in 2016. First Chen Yufei lost to India’s P.V. Sindhu at the BWF World Championships at Glasgow, Scotland. She won the bronze medal. At the 2017 Swiss Open BWF Grand Prix, compatriot Chen Xiaoxin got the better of Chen Yufei 21-19, 21-14 in the women’s singles. Chen Yufei was awarded the Eddy Choong Most Promising Player of the Year 2017, based on her 2016’s superb performance . Chen Yufei has a strong mental strength to bounce back from her defeats. In the year 2018, she first went onto win the Silver medal at the Asian Championships at Wuhan, China. She reached the finals, but lost to Taipei’s Tao Tzu-ying 19-21, 20-22. Tai Tzu-ying again defeated Yufei in the final at the 2018 Indonesian Open 23–21, 15–21 and 9–21. Chen reached the finals of 2018 China Open and 2018 German Open. However, she couldn’t win the title at both the BWF World Tour tournaments. At the German Open, Chen Yufei lost to Akane Yamaguchi 19–21, 21–6, 12–21. At the China Open, Yufei lost to Spanish Carolina Marin 18-21, 13-21. Theses consecutive losses taught a great deal to Chen Yufei in 2018. She reached the final of 2018 Fuzhou China Open. She conquered Japanese Nozomi Okuhara 21-10, 21-16 to lift the BWF World Tour title. Her resurgence in recent months is a boon and inspirational for Chinese youngsters. It looks like the year 2019 belongs to Chen Yufei. She has improved her skills and temperament at the game. Having won the All England Championships, she lifted her second world title at the Swiss Open. She triumphed over Japanese Saena Kawakami 21-9, 21-16. In the past six years on the international circuit, Chen Yufei has played 233 matched. She has lost just 66 and won 167 matched in her career so far. In the year 2019, she has won 8 matches and lost just one. She currently holds the Women’s World No. 2 spot behind her arch rival Tao Tzu-ying.